The teaser for this short Thrasher Ben Raybourn video says: “Take a skater who's creative and gnarly, let him loose at a wild spot like this, and you'll get a Firing Line every time.”. There is more than meet the eyes. 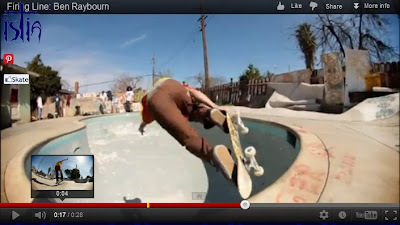 Ben raybourn is currently at Coastal Carnage 2012 and is totally shredding the bowl.